One day at recess. Ducky and Ted were playing with soap bubbles. Ducky had a giant blue wand that he was using to make large bubbles. Ted was running around and popping the bubbles. Each new bubble got bigger and bigger, as Ducky perfected his bubble making. One bubble was so big and so strong that when Ted went to pop it, he fell into the bubble and started to float away. Ducky was horrified. He shouted for help. Pembleton saw what was happening and rushed to get his special plunger, he often uses to get cats out of trees. He aimed; he fired, and thankfully rescued Ted. From now on, Ducky won’t blow bubbles, or at least not till he figures out a safer way when Ted is around. 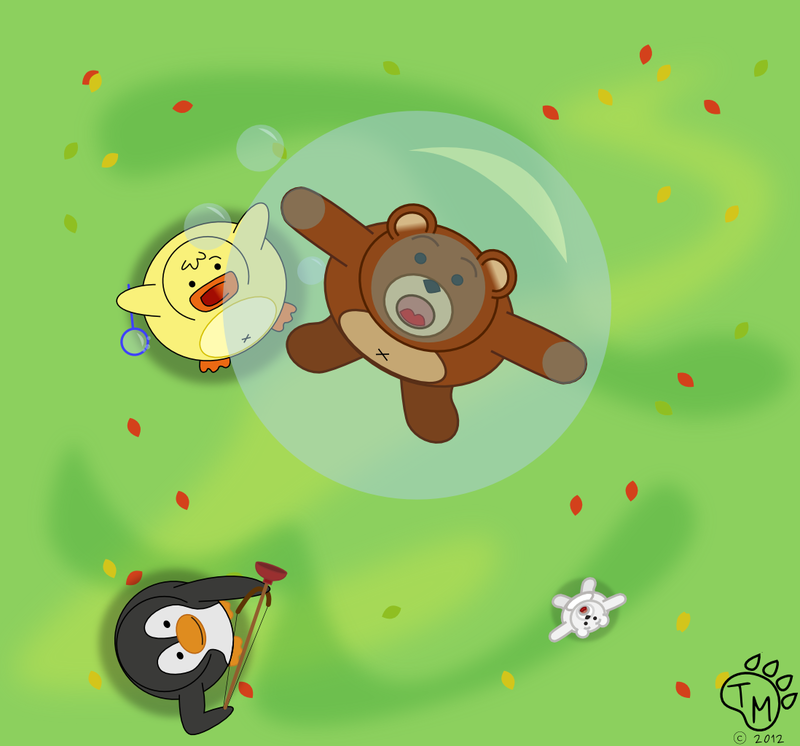 Do you have any ideas on how to keep Ted safe, while blowing big bubbles? Help Ducky, by leaving your ideas in the comment section below!